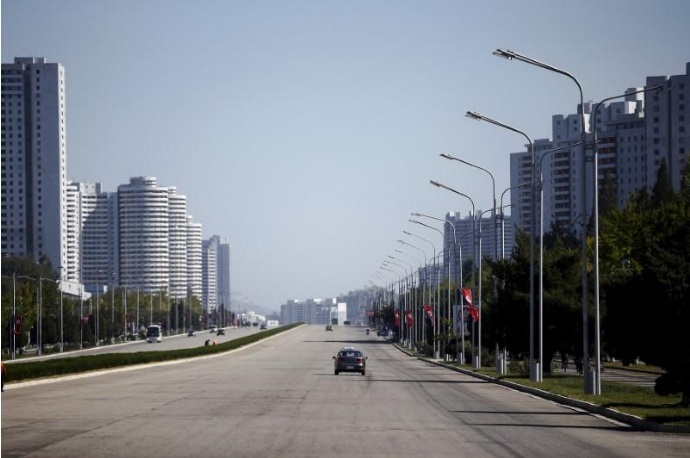 Taxis are driven on an almost empty avenue in central Pyongyang, North Korea October 8, 2015. October 8, 2015. Parts of impoverished North Korea have been serviced for decades by a small fleet of run-down taxis, but in the last few years the industry has mushroomed in Pyongyang, fueled by a rising consumer class. Picture taken October 8, 2015.